Most of us feel more attractive with a tan so why do you have to think about the long term brown spots and wrinkling? I met Michael at the time he turned 68 and still looked great, except the sun damage on his face. He is fit and youthful at his age and loves to be tan. After using tanning beds for a long time his facial skin was aging more than it has to. He felt the tanning was making his brown spots and skin cancers look better more even like a tan. He was slowly losing the attractiveness he was used to. How Does This Happen? You begin to develop uneven pigmentation, fine lines, pre-cancerous lesions and sagging skin when the sun (U.V.ultraviolet radiation) hits your skin then activates your skin pigment cells called melanocytes to create a tan. Tanning in the UV beds penetrates the skin layers at a deeper level than the sun and this brings on problems even faster. If you look closely, you will see dark brown, light brown, white and red spots all clustered together. Getting Back to Attractive Skin. Over six months we were able to turn back the clock on aging. Michael partnered with me to make this happen by taking care of his skin each morning and evening. I used the DMK system of protocols to peel away built up skin cells and then did a remodeling procedure to reconstruct the skin back to a healthy state. Revising the architexture of the skin, addressing the underlying condition with the aim to return these areas to a strong, healthy and youthful condition. 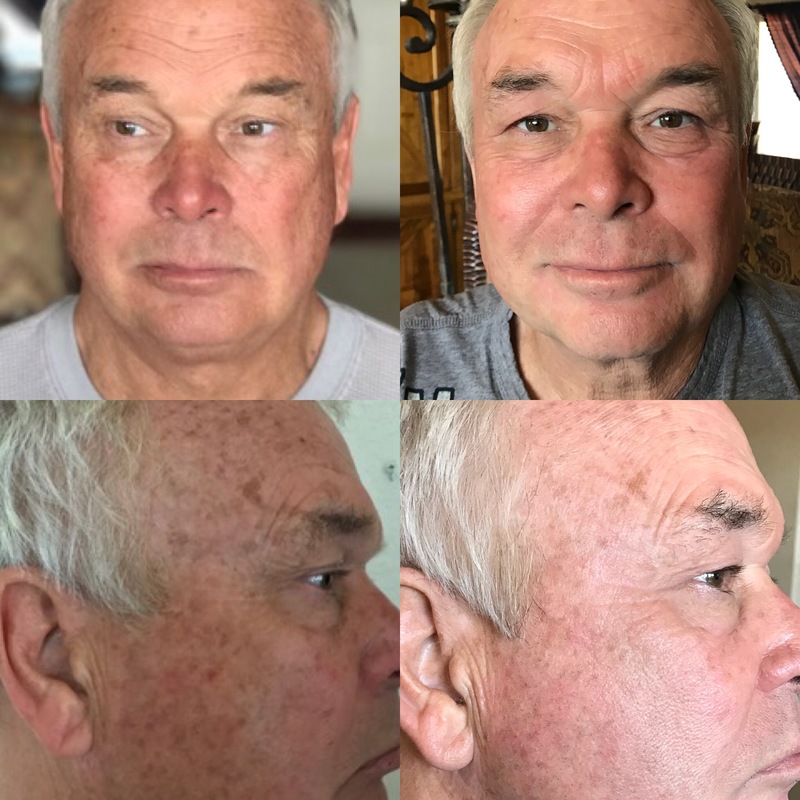 DMK Enzyme Treatments done at least monthly gave his skin the functioning that made all of this change possible. Drinking Water. How Vital to the skin? Which skin cream is best for me?